This article is based on the idea that lone-wolf terrorists may have characteristics in common with two other types of lone-actor violent offenders: assassins and school attackers. We used data from U.S. Government-sponsored reports to compare the characteristics of these two groups. Despite obvious demographic differences, results indicate four characteristics common for both school attackers and assassins: perceived grievance, depression, a personal crisis (‘unfreezing’),and history of weapons use outside the military. These characteristics may be useful in distinguishing lone-wolfs from group-based terrorists. One of the most notorious lone-wolf terrorists was Ted Kaczynski, who gave up a position as Assistant Professor of Mathematics at the University of California Berkeley to live in a remote area of Montana. There he felt he could escape the threat of technological progress that he had come to fear and detest. Such progress is made, he believed, only by denying human nature -especially the need for meaningful work - and by crushing individual freedom. He emerged occasionally from his wilderness cabin to hand-carry or mail bombs to people he saw as forwarding the industrial-technological progress he feared. A very different example is John Allen Muhammad, who, with his young protégé Lee Boyd Malvo, killed ten people and wounded two more in 47 days of sniper attacks carried out in and around Washington, D.C. in 2002. Muhammad was a veteran of seven years in the Louisiana National Guard and served nine years in the U.S. Army; he was discharged after the Gulf War as a sergeant. He became a convert to Islam and favoured black separatism and, according to Malvo, hoped to extort several million dollars from the U.S. government and use the money to found a pure black community in Canada. Muhammad has not been forthcoming about the origins of this plan, but it appears that he reacted to what he saw as the victimization of black people in the U.S. In recent years, lone wolf terrorism seems to have become more frequent. A spate of such attacks demonstrates the breadth of lone-wolf terrorists’ causes and targets. On May 31, 2009, anti-abortion activist Scott Roeder shot and killed abortion doctor George Tiller. On June 1, 2009, African-American Abdulhakim Mujahid Muhammad (formerly Carlos Bledsoe) shot two soldiers - killing one, wounding the other - at a U.S. Army Recruiting Station in Little Rock, Arkansas. On June 10, 2009, James Wenneker von Brunn shot and killed a guard at the Holocaust Museum in Washington, D.C. . On November 5, 2009, Major Nidal Malik Hasan opened fire on his fellow soldiers at Fort Hood, leaving 12 dead and 31 wounded. On March 2, 2011 two U.S. soldiers died after a lone gunman, Arid Uka, opened fire on them at Frankfurt airport, also wounding two others. On July 22, 2011, Anders Breivik killed 77 people in and around Oslo. In each case the perpetrator seems to have acted alone for motives that are at least in part political; but beyond this similarity are striking differences in age, background, and motivation. Ted Kaczynski was a mathematician disturbed by the pace of technological progress. John Allen Muhammad, age 42 at the time of his sniper attacks, was an ex-soldier convert to Islam, in the midst of a bitter divorce and custody battle, and aggrieved about the U.S. treatment of African Americans. Scott Roeder, age 51, held blue-collar jobs, participated in anti-abortion activism, and, according to his brother, had a history of mental illness. Muhammad-Bledsoe, age 23, converted to Islam as a teenager, studied Arabic in Yemen, and was reportedly angry about the killing of Muslims in Iraq and Afghanistan. James von Brunn, age 88, was a university graduate, WWII naval officer, and in his later years a loner who alienated many with the fury of his racist rants. Although highly salient, lone-wolf attacks remain rare and, like any rare event, difficult to study. Spaaij has identified only 88 lone-wolf terrorism cases across fifteen countries, including the U.S. Of course it is possible that lone-wolf characteristics differ by country or region; Nesser suggests for instance that his 15 European lone-wolf terrorists differ from American cases. Looking just at the U.S., Eby has identified 53 lone-wolf terrorists between 2001 and 2011, while Jasparro has identified 14 specifically jihadist lone-wolf U.S. terrorists. Given the relatively small number of cases available for study, we aim in this paper to learn more about lone-wolf terrorists by looking at two other kinds of violent offender: assassins and school attackers. Our inquiry may seem at first a surprising stretch; assassins and school attackers are not usually called terrorists. But assassins and school attackers resemble like lone-wolf terrorists in three important ways: they plan and perpetrate violence, the great majority act alone, and, as described below when we discuss our results, the great majority act out of some perceived grievance rather than for material self-interest. Thus we examine two kinds of lone-actor perpetrators of grievance-fueled violence - assassins and school attackers - in order to develop hypotheses about lone-wolf terrorists who are also lone-actor perpetrators of grievance-fueled violence. One way to conduct our study would be pure bottom-up empiricism, seeking every possible common characteristic of assassins and school attackers. Instead we bring into our study existing ideas about lone-wolf terrorists, using these ideas to give more focus to our comparison of assassins and school attackers. We assume here that bringing ideas about lone-wolf terrorists into our examination of assassins and school attackers can enrich our understanding of all three kinds of perpetrators. Either all three are part of a single phenomenon of lone-actor grievance-fueled violence, or we will learn more about all three by establishing how they differ. Thus we begin with a brief review of several ideas about the origins of lone-wolf terrorists and subsequently use these ideas in our examination of assassins and school attackers. What Makes a Lone-Wolf Terrorist? A lone-wolf terrorist plans and carries out an attack without assistance or organisational support. Most analyses of terrorism emphasize the power of group dynamics that can move normal individuals to commit horrific violence , but the distinctive aspect of lone-wolf terrorists is that they are moved to violent action without group or organisational support. In this section we consider two possibilities for understanding the actions of lone-wolf terrorists without invoking group dynamics: that they suffer from some form of psychopathology, and that they are moved by the same mechanisms of radicalisation that have been identified for individuals joining a terrorist group. Are Lone-Wolf Terrorists Suffering from Mental Disorders? Victims of terrorism and mass media accounts of terrorism often see terrorists as suffering from some kind of psychopathology. “Terrorists appear to be insane, because they kill, destroy, and injure for motives that seem utterly incomprehensible to the rest of us.” It is plausible that abnormal crimes, including killing and maiming civilians, must be the work of abnormal individuals, people suffering some kind of mental disorder. Perhaps the best known version of this idea was advanced by Jerrold Post, who suggested that terrorists suffer from narcissistic personality disorder, a diagnosis associated with lack of empathy and paranoia. Decades of research, however, have made clear - and Post has agreed - that terrorists are no more likely to suffer from psychopathology than non-terrorists from the same backgrounds. Nor are terrorists more economically deprived or disadvantaged. Thus research has turned most analysts away from the idea that there is some profile of individual characteristics that can be used to identify potential terrorists. It is important to recognize, however, that this research has been predominantly focused on group-based terrorists. This is not surprising because most terrorists operate in groups and lone-wolf terrorists are relatively rare. But given that almost all of the pertinent research has focused on group-based terrorists, it is possible that common characteristics of lone-wolf terrorists may have been overlooked. That is, it may yet be possible to develop a profile for lone-wolf terrorists despite the evidence against such a profile for group-based terrorists. In particular, it might be that some kind of mental disorder is a risk factor for lone-wolf terrorists. Several well-known examples of political violence make this possibility salient, especially in mass media accounts. Theodore Kaczynski, the Unabomber, killed 3 and injured 23 between 1984 and 1995 with bombs targeting those he saw responsible for an industrial society that crushes human freedom. At least one psychiatrist found that Kaczynski suffered from paranoid schizophrenia. On January 8, 2011, Jared Loughner shot and killed 6 people and wounded 13 others, including U.S. Congress Representative Gabrielle Giffords, in Tuscon, Arizona. Loughner saw Giffords as a ‘fake’ and his hostility toward her apparently increased when she did not take seriously a question he asked her in an open forum. He had a history of depression, was diagnosed as suffering from schizophrenia, pled guilty after medication made him able to stand trial, and was sentenced to life in prison. Anders Behring Breivik, who killed 77 people in and around Oslo on July 22, 2011, was at first declared schizophrenic and psychotic, then found to suffer from narcissistic personality disorder. He was declared fit for trial and sentenced to preventive detention for a minimum of ten years. Kaczynski, Loughner, and Breivik are all lone-actor perpetrators of violence with some degree of political grievance. These examples raise at least the possibility that mental disorder is a risk factor for lone-actor violence, including lone-wolf terrorists as well as lone-actor assassins and school attackers. Here we ask whether signs of mental disorder can be identified among assassins and school shooters. Are Lone-Wolf Terrorists Moved by the same Mechanisms of Radicalisation that Bring Individuals to Join Terrorist Groups? McCauley and Moskalenko have recently brought together case history material and social science research to identify twelve mechanisms of radicalisation that can lead individuals, groups and mass publics to political violence. The mechanisms were drawn from, and illustrated in, case studies of terrorism spanning one hundred years and three continents. Relevant to lone-wolf terrorism, the authors identified six individual-level mechanisms of radicalisation. Three group-level and three mass-level mechanisms of radicalisation were also identified; these are not represented here because we are focusing on motives of individuals acting without group or organisational support. We recognize that every individual acts in a larger social context that includes mass sentiments and mass beliefs, but the influence of mass psychology on lone actors is beyond the scope of our study. In brief, the six individual-level mechanisms are personal grievance, political grievance, slippery slope, risk and status seeking, and unfreezing. Individuals can resort to political violence as a result of personal grievance, such as perceived mistreatment by the government of self or loved ones. Individuals may also be radicalized by political grievance, a perceived mistreatment of people the individual identifies with but does not know personally. Another mechanism of radicalisation is slippery slope, a gradual desensitization to the idea and experience of violence through slow escalation of illegal and violent acts. Paradoxically, love can move an individual to violence if a loved one - friend, relative, or romantic partner - becomes part of a radical group and asks for help. Risk and status seeking is perhaps especially common among young males for whom violence may seem the best path to money and respect. Finally, unfreezing occurs when an individual loses the everyday reassurance of relationships and routines: a parent dies, a romantic partner leaves, a job lost, a major illness strikes, or the individual moves far from home. Unfreezing is a personal crisis of disconnection that leaves an individual with less to lose and in search of new directions. These individual-level mechanisms of radicalisation, derived from the study of terrorism and terrorists, are extended here to ask whether any of these can be identified in the histories of school attackers and assassins. We have described two possibilities for understanding how individuals can undertake political violence without organisational support or the power of group dynamics. Lone-wolf terrorists may have a mental disorder that interferes with self-interest and rational choice, preservation. Alternatively, they may be moved by some of the same mechanisms of radicalisation that have been identified for group-based terrorists. In this article we look for these possibilities in relation to assassins and school attackers, and we turn now to examine the two authoritative reports on which our study is based. The Final Report and Findings of the Safe School Initiative (hereafter School Report) was completed in 2002 with funding provided by the U.S. Secret Service and the Department of Education. This report examined 37 incidents of targeted school attacks between 1974 and 2000, with a total of 41 attackers. The authors coded 30 of the 41 school attackers as having attacked alone (81%). Not counted among the 30, four attackers carried out their violence alone but were reported to have had some kind of assistance planning the attack. Nearly all attackers (39 or 95%) were current students of the targeted school, while two were former students. Over half (59%) of the school attacks occurred during the school day; most attackers used a firearm. These attacks were carried out with a high level of violence, with at least one fatality in 73% of attacks. Assassination in the United States (hereafter Assassination Report) was published in 1999 with support from The National Institute of Justice and the U.S. Secret Service. The report aimed to study "all people who attacked, or approached to attack, a prominent person of public status in the United States since 1949."(p. 322) Persons of public status were defined as persons protected by the Secret Service, other major federal officials and office holders, important state and local public officials, and celebrities such as sports figures and movie, television, radio, and entertainment notables. The Assassination Report presents results for 74 incidents between 1949 and 1996 in which 83 people had either attacked (46%), or tried to attack (54%), a prominent person in the United States. Of the 83 assassins, 63 (76%) acted alone. Assassins used a variety of weapons including handguns (the most common weapon), rifles and shotguns, knives, explosives, and, in three cases, airplanes. Most of the completed attacks did not produce a fatality or an injury. Our study sought to identify characteristics and motives that are associated with these two forms of mostly lone-actor violence: assassins and school attackers. The two types of crime are tracked over largely overlapping time periods: 1974-2000 for school attackers and 1949-1996 for assassins. Both forms of violence are extreme in a statistical sense: there are few assassins or school attackers in each decade. Another similarity is that the violence perpetrated by both school attackers and assassins is planned rather than impulsive. In this they are like terrorists, who plan their attacks, and unlike most perpetrators of homicide, at least in the U.S., where homicide is most often linked with argument and impulse (brawls due to the influence of narcotics or alcohol, disagreements about money or property). Finally, school attackers and assassins are like terrorists in that both kinds of perpetrators act out of a sense of grievance rather than for material profit. The political purposes of terrorist violence are many, but almost always include representing some larger group or cause, which is seen as unfairly harmed, humiliated, or endangered. In other words, terrorism is fueled by a sense of outrage and desperation - a sense of grievance. As will be shown in our results, outrage and grievance are also salient in the motivations of assassins and school attackers. Thus the logic of our study is to compare two groups that are like lone-wolf terrorists in perpetrating planned lone-actor violence fueled by grievance. To the extent that assassins and school attackers share common characteristics, these characteristics may be risk factors for lone-wolf terrorism as well. Of course school attackers are almost all high school age or less, whereas almost all assassins are adults. But the obvious demographic differences between the two groups are actually a strength of our comparison: any commonalities uncovered are the more striking and unlikely to be a reflection of life status or demographic factors. We acknowledge immediately that, as a study of lone-actor violence, our analysis has an important limitation. Most but not all of the assassins and school attackers were lone actors. Ideally we would examine only the lone actors, setting aside the minority of offenders who acted with some kind of assistance or support. With this goal in mind, we tried to get access to the original files on which the reports were based, but response to our inquiry indicated that the authors of these reports did not have the original files of individual offenders and did not know where or if these files may exist. Thus we compare groups that are predominantly lone-actors, but our comparison is made coarser by the inclusion of a minority of group actors whose characteristics cannot be separated from the characteristics of lone actors. Despite overlap in the authors of the two reports, the wording of perpetrator characteristics was not always consistent (e.g. one report categorized substance abuse as history of substance abuse, one categorized it as alcohol or substance abuse). We believe that these small differences in wording do not substantially affect the meaning of the category labels used in our tables, but, in order that readers may judge for themselves, we present for each of the categories used in our results the corresponding category labels from the original reports (see Appendix). Of the six individual-level mechanisms of radicalisation identified in the introduction of this article, two (love and slippery slope) require more detailed personal histories than the Assassins Report and the School Report provide. Thus we focus here on four mechanisms: personal grievance, political grievance, status and risk seeking, and unfreezing. Personal grievance is perception of unjust injury to self or loved ones, whereas political grievance is perception of unjust injury to a larger group or cause. The two reports did not provide sufficient detail to distinguish individual from political grievances, and we combine these as simply grievance in our analysis. Status and risk seeking is a motivation typical of young males. The combination makes sense because, especially for younger males, risk-taking is a means to increased status. Status seeking can be seen in efforts to gain attention and fame; risk seeking can be seen in fascination with guns and violence. Unfreezing is a change in circumstances, especially a sudden change, that leaves an individual in some kind of personal crisis. Examples include financial problems, physical threat, and loss of connection with loved ones. When predictability and control are threatened, individuals become open to new relationships, new behaviours, and new values in trying to regain control. Unfreezing is thus an opening in an individual’s life that decreases the perceived cost of acting on a grievance and increases the value of acting to gain or regain status and respect. Although neither the School Report nor the Assassins Report refers directly to these three mechanisms, we were able to translate reported motives into grievance, status and risk seeking, and unfreezing. As already noted, the reports differed in the wording of categories of motives. More judgment was required in translating reported motives into mechanisms than was required for translating demographics and history into common categories. We invite readers to examine our translation of report categories into mechanisms in the Appendix before reading the Results. It is important to note that the percentage of school attackers categorized as suffering from depression and despair, 78% in our Table 1, is not the same as the percentage given in the School Report (p. 22). According to the report, 61% of school attackers suffered from depression or despair. However, the report notes that 78% “exhibited a history of suicide attempts or suicidal thoughts at some point prior to the attack” (p. 22). Since it seems more likely that individuals considering suicide were depressed than that individuals not depressed considered suicide, we represent the percentage of depressed in the School Report as 78%. Also, the School Report did not give any information about marital status or military service. Given that the school attackers were students ranging in age from 11 to 18 (except for two very recent high school graduates) we assume that none was married and none had military service. Finally, it is worth remarking on the issue of statistical significance in comparing percentages between the two reports. Inferential statistics are not appropriate for these comparisons, because the individuals in each report are not a sample of some larger population. They are, rather, two total populations for particular time periods. Still, it is clear that small differences between the two populations—in percent female, for instance--would be relatively uninteresting and substantively unimportant. Thus, we remark on group differences only when the difference amounts to twenty percentage points or more. As indicated above, the logic of our inquiry is to look for characteristics and motives that are common to assassins and school attackers. As expected, the demographics of these two groups of offenders are very different—school attackers younger and in school, assassins older and employed. Table 1: shows that both groups of offenders are predominantly male and Caucasian. Unsurprisingly, the school attackers, almost all of them students, are much younger than assassins, who show wide variation in age. The relative youth of school attackers is reflected in several other demographic characteristics. No school attacker served in the military, whereas about half of assassins had served. Also, no school attacker had married, whereas half of assassins had married. The two groups differ greatly in arrest record, with two thirds of assassins having been arrested but only about a quarter of school attackers. It is difficult to interpret this difference without knowing how many assassins had been arrested as teenagers. Last we come to the issue of mental health. Both school attackers (78%) and assassins (44%) show substantial percentages with a history of depression, despair, and suicidal ideation. The higher rate for school attackers is the more striking because assassins had, on average, twice as many years of life in which to develop such a history. For our second analysis, we coded motivations from the two reports into three mechanisms of radicalisation: grievance, unfreezing, and status and risk seeking. Table 2 shows that the incidence of grievance was high for both groups of violent offenders, with school attackers (81%) tending even more than assassins (67%) to have a grievance against their targets. The kind of personal crisis we have called unfreezing was also common for both groups of perpetrators and more likely for school attackers (98%) than for assassins (”nearly half”). Status and risk seeking shows a different pattern. Only a minority of assassins (38%) and school attackers (24%) were coded for this motive. However, fascination with violence can be an expression of risk and status seeking, and about half of both assassins and school attackers have a history of interest in violence (59% and 44%). Perhaps related to fascination with violence is a history of using weapons outside the military. About two thirds of both assassins and school shooters (71% and 63%) have this kind of history. In the post-9/11 world, operations of violent groups such as Al-Qaeda have been greatly impeded by the successes of the war on terrorism. Lone-wolf attacks, on the other hand, have become more salient and have attracted more attention from policymakers and security officials. In order to learn more about lone-actor violence, we used U.S. Government-sponsored reports to examine two types of predominantly lone-actor grievance-fueled violent offenders: school attackers and assassins. Both assassins and school attackers were predominantly white males, and both groups of offenders were preponderantly lone actors (81% and 70%). Beyond that, the two groups were, as expected, very different demographically. Assassins differed from school attackers in education, marriage, service in the military, and history of substance abuse and arrest. These differences are likely attributable to the fact that most assassins are adults who, compared with school attackers, have had more years of opportunity to serve in the military, get higher education, and get married. Despite the expected differences in demographic characteristics, both school attackers and assassins showed high rates of mental health problems. The great majority of school attackers (78%) had histories of depression, despair, or suicidal ideation, and nearly half of assassins (44%) had this history. Indeed the preponderance of lone actors for both groups may be associated with mental health problems. Perhaps their isolation contributed to depression, or perhaps their depression made them unable to connect with others. The data compiled in the two reports allowed for coding three individual-level mechanisms of radicalisation: grievance, risk-and-status seeking, and unfreezing. Although it is possible that other mechanisms of radicalisation may have been important in the radicalisation of school attackers and assassins, our analysis was limited by the scope of the reported data. Grievance was coded from perception of having been persecuted, bullied, threatened, attacked, or injured (school attackers) and any grievance at the time of the Principal Incident (assassins). For assassins no abstract definition of grievance was given, but cited motives included avenging perceived wrong, bringing national attention to a perceived problem (e.g. plight of the working man), and saving the country or the world (e.g. the President is the devil). The prevalence of grievance was high for both school attackers (81%) and assassins (67%). It appears that feelings of grievance may be common in lone-actor violence, although it is important to recognize immediately that feelings of grievance are common whereas violence is rare. Polls indicate, for instance, that tens of thousands of U.K. Muslims believe that the war on terrorism is actually a war on Islam, but at most hundreds of U.K. Muslims have turned to terrorist violence. It is impossible to tease out from the reports whether the perceived grievances of school attackers and assassins were personal or political, although it seems likely that the great majority of school attackers had some personal grievance against targets seen to have bullied or otherwise maltreated them. Assassins more likely had a mix of personal and political grievances. As noted in the introduction, grievance is prominent among notorious lone wolf terrorists. Thus Ted Kaczynski laid out his grievance with technological progress and those behind it in his famous manifesto. Anders Brevik also wrote a tediously long manifesto to lay out his grievance with the rate of integration of foreigners into the European culture. John Allen Muhammad’s grievance was with the U.S. government treatment of African Americans. Major Hasan was aggrieved with the Army for deploying him to a Muslim country where he would have to fight against fellow Muslims. Scott Roeder was guided by his deep commitment to the pro-life message and political movement. Von Brunn expressed his grievance against the Jews in his many postings to right-wing websites. Muhammad-Bledsoe was upset about the killing of Muslims in Iraq and Afghanistan. Unfreezing was coded from report of experienced or perceived major loss (school attackers) and accident/illness, loss of relationship, or failure/loss of status (assassins). The crises and losses were not specified in the report, and offenders’ perceptions of them are unclear. Nevertheless, the prevalence of unfreezing was high for both groups of offenders: Almost all school attackers (98%) were coded for unfreezing, and “almost half” (the best summary figure available) of assassins showed unfreezing. Unfreezing appears to be more characteristic of school attackers than assassins, but we emphasize that unfreezing is common for both groups of offenders. Unfreezing also appears as a motivating factor among lone-wolf terrorists mentioned in the introduction. Thus, John Allen Mohammad was unemployed and going through a bitter divorce and a custody battle. Major Hasan had been transferred far from his family to an Army post where he had few connections outside of work. Ted Kaczynski caused his own isolation, cutting himself off from family, friends and his former life. Risk and status-seeking was coded from report categories of efforts to gain attention or recognition (school attackers) and attention/notoriety as a goal (assassins). Risk-and-status seeking was reported for only a minority of assassins and school attackers (38 percent and 24 percent). More common for both groups of perpetrators is a history of interest in violence and experience with weapons excluding military service. Over half of assassins and school attackers showed a history of weapons use (71% and 63%) and about half of both groups showed a history of interest in violence (59% and 44%). The percentages with a history of weapons use are higher than would be expected from national U.S. polling data. Legault used data from the General Social Survey (GSS) to assess gun ownership in U.S. households from 1976-2008. Averaging over years he found that about 43% of respondents reported a gun in the house and 27% reported owning a gun. These statistics give a general baseline for use of guns outside the military. We assume that anyone owning a gun has used it, and that some individuals have used the gun in their house without owning it. Thus between 27% and 43% of Americans have used a gun; whereas weapons use for both assassins and school attackers was substantially higher at 71% and 63%. Experience with weapons may be common among lone-wolf terrorists as well. Thus, John Allen Muhammad was an ex-soldier who apparently enjoyed the thrill of a hunt as he terrorized the Washington DC population with his sniper attacks. Breivik developed his skill with firearms by joining a gun club. Roeder was convicted of transporting explosives, and von Brunn was a war veteran with a history of fighting and a weapons charge to his record. Looking back over the results, there are four characteristics that are common for both school attackers and assassins. Nearly half or more of both school attackers and assassins were reported as showing depression, grievance, unfreezing, and history of weapons use outside the military. The concatenation of these characteristics makes some sense. Depression makes life a pain that can be escaped in action. Grievance highlights and justifies a target of violence. Unfreezing is not itself a motive for violence, but opens an individual to radical change in belief and behaviour. Indeed depression may contribute to unfreezing in breaking old relations and making normal life feel impossible. The combination of depression and unfreezing is likely to leave an individual who sees him or herself—and is seen by others—as a ‘loner.’ Disconnection means that the ‘loner’ feels reduced restraint in reacting to grievance with violence. Experience with weapons outside the military may be associated with violence for two different reasons: as an indicator of fascination with violence and as a means of attack. In particular it is a history of using firearms that is important: most assassins and school shooters wielded firearms in attempting or committing violence. An individual without weapons experience may have the motive for violence but not the means. It is tempting to read the concatenation of the four characteristics as a kind of ‘violence profile’ of mutually reinforcing factors that together push an individual toward violent action. Unfortunately the correlation or overlap of these characteristics is not available in either the Assassins Report or the School Report. The extent to which the four characteristics occur separately or together in individual perpetrators cannot be investigated without data at the individual level, whereas the two reports provide only overall percentages for characteristics reported on. As an illustration of research at the individual level, we return briefly to the case of Major Nidal Malik Hasan. Major Hasan who turned to the Qu’ran after the death of his parents, appears to have had no close relationships after he was transferred to Fort Hood, and was about to be transferred to Afghanistan (unfreezing). He saw himself discriminated against as a Muslim (personal grievance) and saw the war on terrorism as a war on Islam (political grievance). He brought two weapons to his attack, one a sophisticated ‘cop-killer’ pistol for which he purchased a laser sight – suggesting experience with weapons beyond whatever slight weapons training the U.S. Army provides for physician-psychiatrists. So far as we can ascertain, Major Hasan showed no signs of depression. Thus Major Hasan had three of the four characteristics common to assassins and school attackers: unfreezing, grievance, and weapons experience. It is important to be clear that we do not claim that the common characteristics of assassins and school attackers—depression, grievance, unfreezing, weapons experience—provide a reliable predictor of violent behaviour. Nor do we claim that three of these characteristics together caused Major Hasan to attack fellow soldiers. Rather the four characteristics identified are hypotheses for future studies of lone-actor perpetrators of rare and extreme forms of violent crime. Another limitation of our study is that not all of the offenders in the two reports were lone-actor perpetrators. About a quarter of assassins and school attackers had some kind of help, either in planning an attack or in conducting it. Thus our comparison across reports of mostly lone-actor perpetrators can point toward common characteristics but these need to be tested in future research that focuses more precisely on lone-actor perpetrators of violence. Despite these limitations, results for assassins and school attackers show at least some convergence with results of recent studies of lone-wolf terrorists. We put connections with our results in italics in the brief summaries of these studies in the next two paragraphs. Looking at his international list of 88 lone-wolf terrorists, Spaaij observed that they tend to interpret personal problems [depression, unfreezing] in terms of some larger political problem or cause [grievance]. He notes that they are often loners [unfreezing] with mental problems [depression]. Nesser examined 15 European lone wolf jihadist terrorists and suggests that four had some mental problems [only one case calleddepression]. Eby found some indication of mental disorder [depression?] for ten of his 53 U.S. lone-wolf terrorists. Looking more narrowly at only jihadist terrorists in the U.S. since 1977, Jasparro identified 14 lone-wolf perpetrators. “In all cases, religion does not appear to have been an initial driver of the suspects' anger and radicalisation, but helped to shape and direct their thinking and individual struggles” [personal and group grievance].“At least nine of the suspected lone wolves have been described by investigators or friends and family as loners. Ten had experienced significant life crises, including marital problems, deaths of parents, unemployment or job issues, financial troubles and drug abuse” [unfreezing]. “At least six appear to have suffered from mental illnesses, ranging from bipolar disorder and schizophrenia to depression” [depression]. In sum, recent studies of lone-wolf terrorists—especially Jasparro’s results—indicate disproportionate levels of grievance, unfreezing, and mental disorder. We believe that this emerging convergence, in which lone-wolf-terrorist characteristics are common also for assassins and school attackers, warrants further research linking these three kinds of violent offender. Experience with weapons has not yet been given much attention in reports of lone-wolf terrorists, but the high levels of such experience for assassins and school attackers suggest that further attention to this characteristic may be warranted. The logic of our study was to find common characteristics of assassins and school attackers that may also be characteristics of lone-wolf terrorists. Depression, grievance, unfreezing, and weapons experience are the common characteristics uncovered, and these deserve attention in future terrorism research. As far as we are aware, there has been no study that directly compared lone-wolf and group-based terrorists. One might compare for instance, home-grown U.S. lone-wolf terrorists with home-grown U.S. group-based terrorists. Our results suggest that this kind of research might usefully seek information about depression, grievance, unfreezing and weapons experience for both the lone-wolf and group-based perpetrators. If the characteristics that distinguish lone-wolf from group-based terrorists are the same characteristics that are common for assassins and school attackers, the implication would be that lone-wolf terrorism is part of a larger phenomenon of lone-actor grievance-fueled violence. In this case the specific characteristics of lone-wolf terrorists, if any, would remain to be identified. On the other hand, to the extent that the characteristics of lone-wolf terrorists differ from those of assassins and school attackers, a more specific profile of lone-wolf terrorists may be uncovered. If confirmed with additional research, the common characteristics of assassins and school attackers identified in our results might serve as a useful guide for channeling resources to minimize the threat of future violence from these types of perpetrators. For instance, school psychologists as well as Veteran Administration (VA ) psychological services may be a first line of defense in identifying ‘loners’ who have a mental health problem, a grievance, and experience with weapons. These individuals might then be offered help with counseling, pharmacological treatment, or family assistance. Most generally, our results suggest that the mechanisms of radicalisation identified by McCauley and Moskalenko in case histories of terrorists  may be useful for understanding other kinds of violent crime. At least three of the individual-level mechanisms of radicalisation—grievance, unfreezing, and status-seeking—can be coded from the kind of information available in news reports and trial transcripts. Indeed these were the sources of data for the Assassins Report and the School Report. Thus mechanisms of radicalisation to terrorist violence may also be important in moving individuals to other kinds of violent crime, and these mechanisms might be studied in the broader context of criminology. Acknowledgments. The authors thank Sujeeta Bhatt and Susan Brandon for the idea of looking at assassins and school shooters to learn more about lone-wolf terrorists. This research was supported by the United States Department of Homeland Security through the National Consortium for the Study of Terrorism and Responses to Terrorism (START), grant number N00140510629. However, any opinions, findings, and conclusions or recommendations in this document are those of the authors and do not necessarily reflect views of the U.S. Department of Homeland Security. Clark McCauley is Rachel C. Hale Professor of Sciences and Mathematics, and Co-director of the Solomon Asch Center for Study of Ethnopolitical Conflict, at Bryn Mawr College. He is a political psychologist and founding editor of the journal Dynamics of Asymmetric Conflict. Sophia Moskalenko is a Post-Doctoral research fellow with the National Consortium for Study of Terrorism and Responses to Terrorism (START) and Research Associate at the Solomon Asch Center for Study of Ethnopolitical Conflict at Bryn Mawr College. She is a social and clinical psychologist and, with Clark McCauley, author of Friction: How radicalization happens to them and us (Oxford, 2011). Charles A. Eby, The nation that cried lone wolf: A data-driven analysis of individual terrorists in the United States since 9/11. Monterey, CA: Naval Postgraduate School. URL: http://www.hsdl.org/?view&did=710310. Petter Nesser, “Single-actor terrorism: Scope, characteristics, and explanations.” Perspectives on Terrorism, Vol. 6, No. 6, pp. 61-73, 2012 URL:http://www.terrorismanalysts.com/pt/index.php/pot/article/view/231/html; Ramon Spaaij, Understanding Lone Wolf Terrorism. Dordrecht: Springer, 2012. Clark McCauley and Mary M. Segal, “Social psychology of terrorist groups.” In Clyde Hendrick (Ed. ), Review of Personality and Social Psychology, Vol. 9, pp.231-256, 1987. 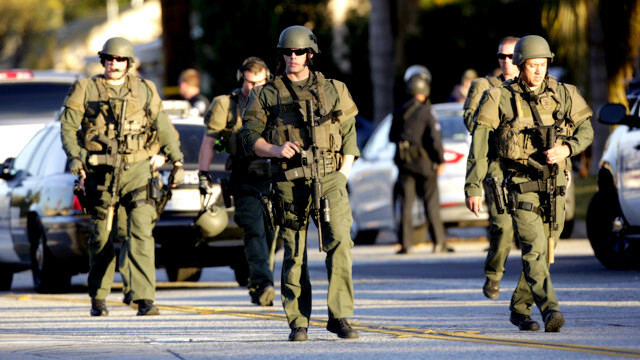 Beverly Hills, CA: Sage; Marc Sageman, Understanding Terror Networks. Philadelphia PA: University of Pennsylvania Press, 2004. Sophia Moskalenko and Clark McCauley, “The psychology of lone-wolf terrorism.” Counseling Psychology Quarterly, Vol 24, No 2, pp. 115-126, 2011. Fathali M. Moghaddam, From the terrorists’ point of view. Westport, CT: Praeger Security International, 2006, p.1. Jerrold M. Post, “Terrorist psycho-logic: Terrorist behaviour as a product of psychological forces.” In Walter Reich ( Ed. ), Origins of terrorism: Psychologies, ideologies, theologies, states of mind. Cambridge, England: Cambridge University Press, 1990, pp. 25-40. Jerrold M. Post, The mind of the terrorist: The psychology of terrorism from the IRA to Al-Qaeda. New York: Palgrave Macmillan, 2008; C. McCauley & M. Segal, op cit; M. Sageman, op cit. Alan B. Krueger and Jitka Maleckova, “Education, poverty and terrorism: Is there a causal connection?” Journal of Economic Perspectives, Vol 7, No 4, 119–144, 2003. Scott Corey, “Revolutionary suicide.” Salon, January 21, 1998. URL: http://www.salon.com/writer/scott_corey/. Clark McCauley and Sophia Moskalenko, Friction: How radicalisation happens to them and us. Oxford: University Press, 2011. Alexia Cooper and Erica L. Smith, Homicide trends in the United States, 1980-2008: Annual rates for 2009-2010. Washington, D.C.: U.S. Department of Justice, Office of Justice Programs, Bureau of Justice Statistics, NCJ 236018, 2011. C. McCauley and S. Moskalenko, op cit, Chapter 15. R. A. Fein and B. Vossekuil, op cit, p.328. Susan Harter, Sabina M. Low, and Nancy R. Whitesell, “What have we learned from Columbine: The impact of the self-system on suicidal and violent ideation among adolescents.” Journal of School Violence, Vol 2, pp.3-26, 2003. Richard Legault, Trends in American gun ownership. New York: LFB Scholarly Publishing LLC, 2008. R. A. Fein and B. Vossekuil, op. cit., p.323, Table 1; Vossekuil et al, op. cit., p.16. C. McCauley and S. Moskalenko, op. cit. Assassination Report, p324: “less than high school”. Assassination Report, p. 323: “six attacks by groups, involving 16 subjects” [lone Actors = (83-16)/83]. School Report, p.15: “attackers carry out the attack alone”. Assassination Report, p.324: “no history of arrest as a juvenile or adult”. School Report, p.22: “prior history of arrests”. Ever treated or diagnosed for a mental health issue. Assassination Report, p. 325: “ever evaluated or treated by mental health professional”. School Report, p. 21: “received mental health evaluation and diagnosed with mental health disorder”. History of depression or despair. Assassination Report, p. 325: “44% history of serious depression or despair, 21% history of auditory hallucinations, 41% suicide threats, 20% suicide gestures, 24% suicide attempts”. School Report, p. 22: 78% “suicide attempts or suicidal thoughts”. Assassination Report, p. 325: “history of substance abuse”. School Report, p. 22: “alcohol or substance abuse”. History of weapons use (excluding military service). ssassination Report, p. 324: “weapons use (excluding military service)”. School Report, p. 27: “known history of weapons use”. Assassination Report, Table 10 p. 325: “67% any grievance”; p. 325: “almost all subjects had histories of grievances and resentments”. School Report, p .24: “81% held some sort of grievance at the time of the attack, either against their targets or against someone else”; p. 24: “revenge was a motive for more than half of the attackers”; p. 21: “71% attackers felt persecuted, bullied, threatened, attacked, or injured by others prior to the incident”. Assassination Report, p. 323: “attention/notoriety as a goal”. School Report, p. 24: “efforts to gain attention or recognition”. Assassination Report, p. 332: “accident/illness, loss of relationship, or failure/loss of status”[10% had major illness, 20% were known to have lost a significant person or relationship and 25% suffered a significant loss of status]. “Significantly then, almost half of attackers and near-lethal approachers are known to have experienced an accident/illness, loss of relationships, or failure/loss of status.…”. School Report, p. 23: “experienced or perceived major loss prior to attack”. This work is licensed by Original Publisher under a Creative Commons Attribution 3.0 License.